Coastal Resilience is a program developed in 2008 to examine nature’s role in reducing coastal community risk through a public-private partnership between The Nature Conservancy, United Nations University, National Oceanic and Atmospheric Administration (NOAA), United States Geological Survey (USGS), Natural Capital Project, Association of State Floodplain Managers, University of California at Santa Cruz, University of Southern Mississippi, Esri, and Alliance for Development Works. The program includes an approach and decision support tool for climate adaptation and resilience planning. An innovative, online decision support tool was developed that includes a mapping platform and suite of customizable web-based apps. The mapping tool is designed to meet planning needs around the U.S. and globally. 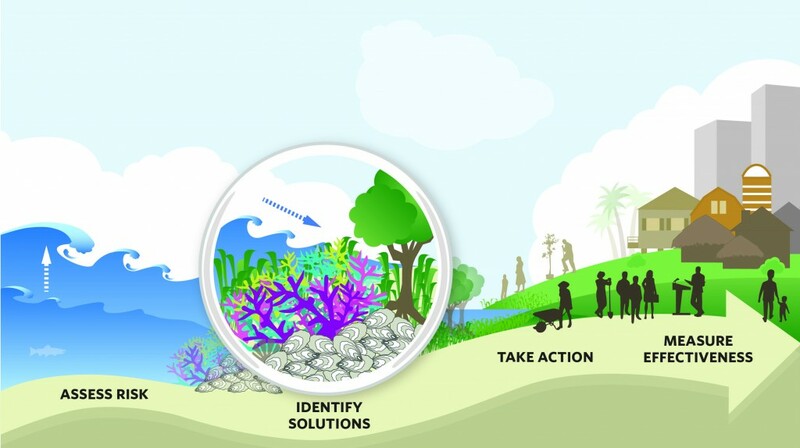 The tool is focused on identifying nature-based adaptation and mitigation solutions but also includes information for supporting disaster response, coastal habitat restoration and climate change policy efforts. The tool and web apps are customized to specific audiences and scenario planning processes. In Connecticut, Coastal Resilience was used to inform the community about where marsh advancement will likely occur and to help identify adaptive solutions to improve community resilience. As a result, Connecticut is now the first state in the United States to have assessed the entire coastline for future salt marsh advancement zones down to the parcel scale. The Coastal Resilience tool works in the U.S. and globally to assess risk and identify risk reduction solutions, operating at national, regional and local scales for more detailed planning in numerous communities. Coastal Resilience’s approach and tool has been rapidly expanding and now include 16 U.S. coastal states (Alabama, California, Connecticut, Florida, Georgia, Hawaii, Louisiana, Maine, Mississippi, New Jersey, New York, North Carolina, South Carolina, Texas, Virginia, Washington), the Caribbean (Grenada, St. Vincent and the Grenadines, U.S. Virgin Islands), and across Mexico and Central America (Belize, Guatemala, Honduras). Having reached almost 100 communities since 2008, The Nature Conservancy intends to increase coverage of the tool and custom web apps to more U.S. states, throughout Mexico and into Southeast Asia in the near future. The suite of Coastal Resilience web apps enable planners, government officials, and communities to assess risk and identify nature-based solutions to reduce socio-economic vulnerability to coastal hazards. Nature-based adaptation solutions include: protecting or restoring area salt marshes as buffers; developing hybrid approaches that link natural and built defense structures; removing incentives to build in high-risk areas (i.e., often on top of low-lying wetlands); and designing restored oyster and coral reefs as breakwaters. The Coastal Resilience approach and decision support tool have been instrumental globally and locally in guiding decisions. For example, regarding Connecticut’s sea level rise policy, the U.S. Navy’s cooperative agreement to actively manage strategic retreat of the naval base in Ventura County, California, and in the recovery of coastal habitats following the Deepwater Horizon oil spill in the Gulf of Mexico. Coastal Resilience is also applied internationally in places such as Grenada for assessing social-ecological vulnerability as well as prioritizing mangrove and coral reef restoration in partnership with the Red Cross, and globally to develop USAID Coasts at Risk indicators and a World Risk Index with Alliance Development Works. Coastal Resilience is also actively being utilized in partnership with the reinsurance industry to determine the costs and benefits of natural infrastructure solutions in reducing risk. The Conservancy has made presentations to and trained various agency partners including Federal Emergency Management Agency (FEMA), Environmental Protection Agency (EPA), NOAA and USGS on the uses and applications of Coastal Resilience, as well as to the Rockefeller Foundation’s 100 Resilient Cities initiative where The Conservancy is the first environmental platform partner, or preferred vendor. Finally, through President Obama’s Climate Action Plan, The Nature Conservancy and the Council on Environmental Quality have been partnering to highlight tools that demonstrate the role of natural resources in risk reduction. A recent fact sheet highlights Coastal Resilience. Currently, the majority of investment in the Coastal Resilience program has been on tool development, and not enough emphasis has been placed on communications and outreach of the approach across the different geographies. This has resulted in a lack of awareness of how the tool can be effectively applied to key target audiences. 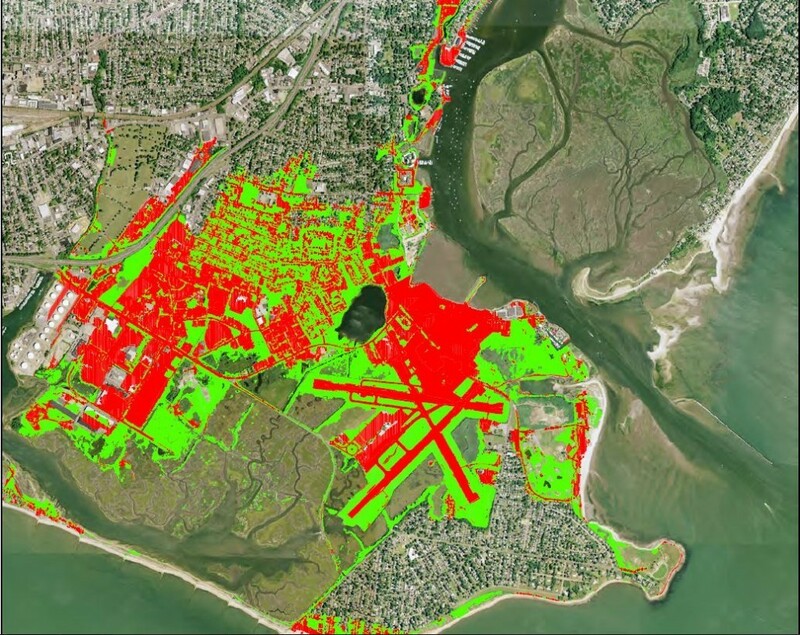 When Coastal Resilience was initiated in 2008 there were only a small handful of web-based mapping tools that provided information on sea level rise and storm surge. Thanks to expanding public-private collaborations, there are an increasing number of tools in our collective coastal hazards work shed. 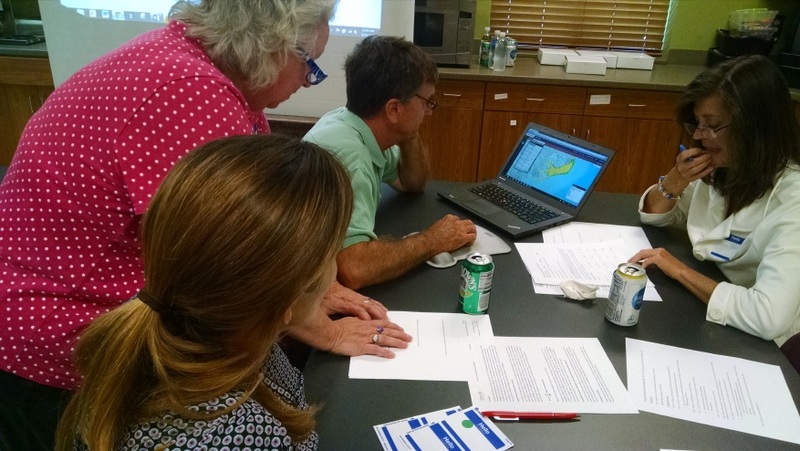 Now we need to get smarter about what tool to use in any given planning process, recognize how these tools are complimentary, and further understand how they can be used in different phases of a process that address climate and flooding issues.